Overwatch has serious issues with toxic players, and in recent months, those problems only seem to have gotten worse. Blizzard swears up and down that it’s working to improve player behavior, but according to game director Jeff Kaplan, those efforts are taking a direct toll on other aspects of the game’s development. 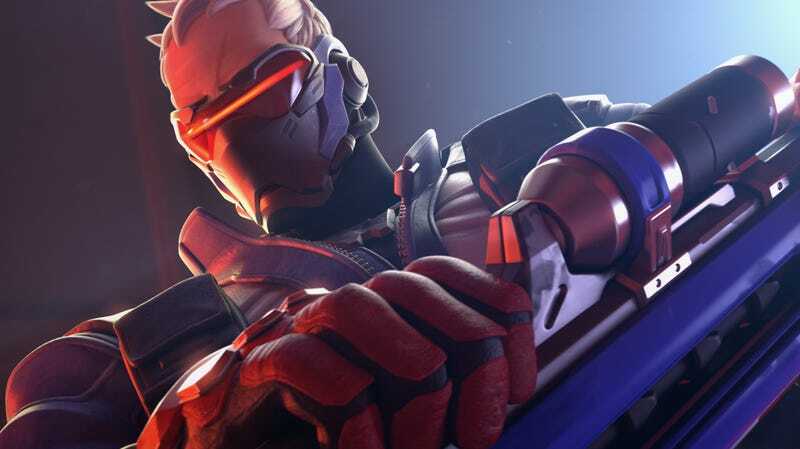 In a new video, Kaplan explained that poorly behaved players have essentially poured toxic goop into the works of the Overwatch team’s development machine, slowing down the creation of other features. He then offered a concrete example: the recent addition of a reporting feature on consoles. That is unfortunate, but also a functional reporting system should be the absolute baseline as far as anti-toxicity and harassment tools go, and Overwatch already had one on PC. Players were justifiably perplexed that Blizzard took so long to add one on consoles, which makes Kaplan’s comment here come off as weirdly combative given how much Blizzard dropped the ball before finally addressing the issue. In the video, Kaplan acted like player toxicity was this unexpected, unpleasant issue that the team is only now confronting out of obligation, even though countless other games have dealt with and continue to battle the same problems. It’s not like this is new. If you’re running a large-scale multiplayer game in the year 2017, it’s par for the course, and resources should be allocated as such. It’s worrisome to hear somebody in charge of one of the biggest games out there talk this way. This mentality is, I would wager, part of the reason things were able to get so bad in the first place. The rest of the video is odd. Despite it ostensibly being about the Overwatch team’s plan to fight “the rising tide of toxicity,” Kaplan only lightly touched on concrete plans. He mentioned that people who’ve filed reports are now getting notified when Blizzard takes disciplinary action against players, though it’s only a “pilot program” at the moment. He hopes to notify people more frequently in the future, so as to assure them that hitting the report button doesn’t just open up a chute and toss all your exasperated rage into the void. To an extent, he’s right: if the community’s determined to be a bunch of garbage-spewing rage weasels, even Blizzard’s best systems won’t be able to do much. It’s pretty clear, though, that most players would like to just enjoy the game and be decent to one another. Kaplan didn’t really need to spend so much time laying this all out. In light of how much people have been begging for clearer, more effective reporting tools and how little has changed so far, the video comes off as alternatively defensive and not particularly reassuring, given how vague most of it is. The weirdest part is that Kaplan has outlined specific changes to reporting and punishment that the Overwatch team is hoping to implement in the coming months, albeit weeks ago in a forum post only a relatively small portion of the player base saw. There, he talked about how the game will soon only punish people with suspensions and bans (no more silences), incoming competitive perma-bans for repeat offenders, punishments that escalate into bans more quickly, and harsher punishments for SR boosting and match throwing, among other things. I’m not sure why he didn’t mention more of those things here, as they actually sound like small steps (if not giant leaps) in the right direction.